Wibu-Systems’ CmASIC is the answer to the security-by-design needs of modern embedded computing technology leaders. Wibu-Systems has been championing cybersecurity and software license management for decades, and its solutions are a perfect match for the IIoT scene emerging across the globe. At Embedded World, hall 4, booth 540, Nuremberg, Germany, March 14-16, Wibu-Systems will present to the crowds of embedded system enthusiasts its new generation of CmASIC, a module that Intelligent Device Manufacturers (IDMs) can directly embed into their boards to provide out-of-the box security and entitlement management. In a connected world, security has become the cornerstone for the entire infrastructure. More specifically, security-by-design leaves nothing to chance: the system is created free from vulnerabilities from the very start and impervious to attack. By soldering a security module directly on the board of the endpoint, the endpoint is clearly identified, sensitive data, like encryption keys, production records, and configuration schemes, are safeguarded, and the module itself is accessible only by physically and logically tampering with the endpoint. 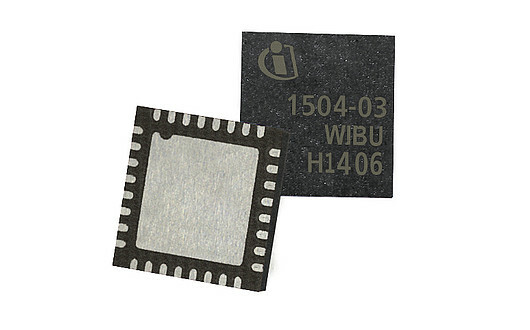 In particular, with Wibu-Systems’ CmASIC, the symmetric and asymmetric keys (128-bit AES, SHA-256, 2048-bit RSA, or 224-bit ECC) are securely stored in the non-volatile memory of the CC EAL 5+, FIPS 140-2, and EMVCo certified Infineon chip that powers the CmASIC itself. The security controller is certified to run in an extremely wide temperature range from -40° C to +105° C, making it the ideal component for industrial applications. Integrating CmASIC is also very easy: the module, which is now available on stock, is delivered in a VQFN-32, 5x5 mm chip size package. It provides both a USB and an SPI communication interface, which allow for its integration in powerful USB devices as well as in small energy-saving devices that only feature SPI interfaces. On the software side, CmASIC supports all mainstream operating systems via CodeMeter Embedded, including Windows, Linux, and macOS for PCs, Embedded Linux and Windows Embedded for embedded systems, Linux RT, VxWorks, and QNX for RTOS, and CODESYS, B&R, and Rockwell for PLCs. All VxWorks 7 Security Profile users will find Wibu-Systems’ technology included in the RTOS of their choice and can upgrade to CodeMeter Security to benefit also from copy protection, license management, and hardware-based key storage. CmASIC belongs to the broader universe of CodeMeter, a technology that couples license entitlement management with top-of-the-breed encryption methods to protect the integrity of digital assets from counterfeiting, reverse engineering, and tampering attacks. This unique combination fulfills the requirements of digitized business, immediately propelling even brownfield infrastructures to a high level of security and scalability. With its multi-layer concept, CodeMeter works with software and hardware-based security elements and numerous back office solution vendors to provide complete license lifecycle management.